Transaction #1 =Start by purchasing 2 of the power toothbrushes. Use the coupons listed in the match and you will spend $3 and get a $6 ECB. Transaction #2 =Purchase the revitalens solution and use the ECB you earned in the previous transaction. You will spend nothing and get a $5.99 ECB. Transaction #3 = Crest toothpaste and $3.20 on anything you want. Use the ECB from the previous transaction and you will spend nothing and get a $3.79 ECB. Leaving with toothpaste, 2 power toothbrushes, multipurpose solution, and $3.20 in items of your choice. A $3.79 ECB that you can use on anything you want. Sounds like you did great. I am just now learning how to save on grocery shopping with coupons and CVS is my next project! I see many people showing off how they get stuff for free and I want it too. 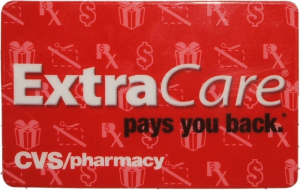 CVS is really easy once you get used to it and it is the best program! I have a CVS tutorial that can help. Go to the menu at the top of the page, it is under tutorials – how to shop CVS.